Amber Tears by Fred Harper. Last Rites Gallery (New York). "'It seems that everyone under 40 who dies takes their cell phone with them,' says Noelle Potvin, family service counselor for Hollywood Forever, a funeral home and cemetery in Hollywood, Calif. 'It’s a trend with BlackBerrys, too. We even had one guy who was buried with his Game Boy.' Anecdotal evidence suggests being buried with a favorite tech device is on the upswing. The Future Laboratory, a London-based think tank, commented on the behavior, noting it in places like the United Kingdom, Australia and South Africa." Continuity for DC's Character Terra ... Concluded! 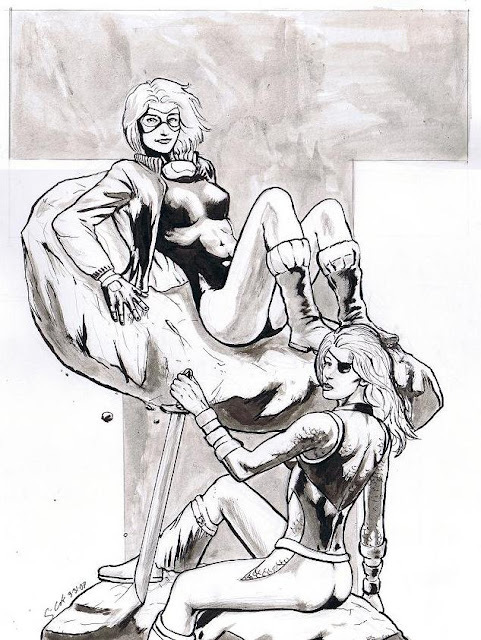 Terra and Ravager by Craig Cermak. Commission (2007). Today's blog post concludes the history I'm writing for DC's character Terra, which covers her entire continuity from 1982 to 2010. I've backdated it so that all the pieces on that topic are together. The link to the final entry, which covers the character's third incarnation (Atlee), her appearance in Blackest Night, and Elseworld versions of Terra, is here. The entire continuity is here. Russian drama set on one of Saturn's moons. Техника Молодежи (Youth Technics), Russia (1954). 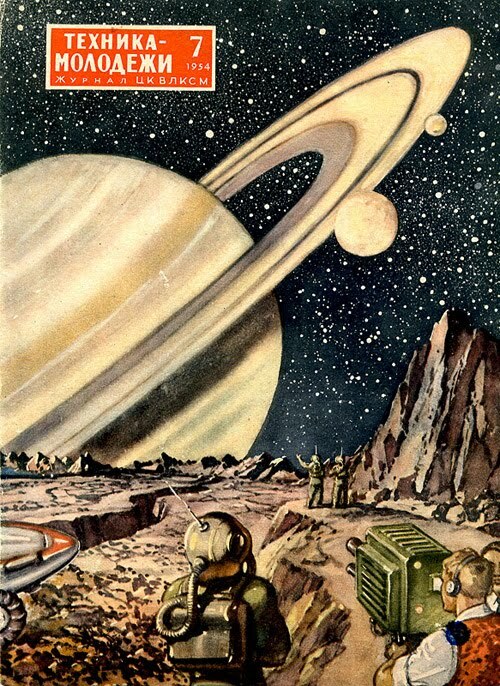 Retro Soviet space art! I ran across this collection on Dark Roasted Blend via Brain Release Valve (blog names~!). First published in 1933, the magazine Техника Молодежи, or "TM," has long specialized in innovations, space, fantasy, new appliances, scientific inventions. Its home website is here. A blurb on it here describes it as the source of inspiration for generations of scientists who grew up reading it. 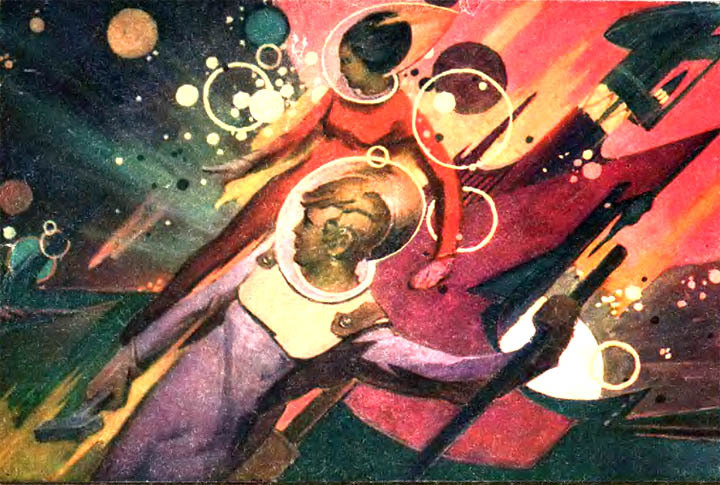 Socialist Space Workers, Техника Молодежи (Youth Technics), Russia (1973). 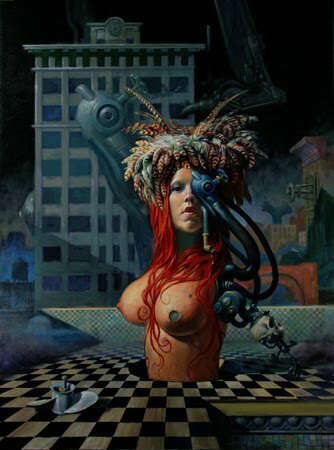 View all posts on redefining Retro-Futurism. Terra by Pat Bollin. Convention Sketch (2010). Today's blog post continues the history I'm writing for DC's character Terra. I've backdated it so that all the pieces on that topic are together. The link to the entry, which covers the character's impact on DC storylines in the latter half of the 2000s, is here. American Progress (1872). 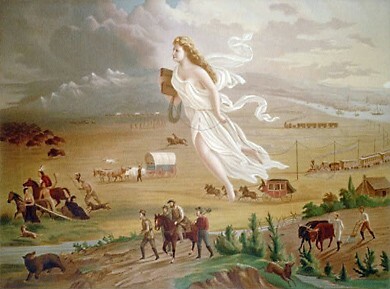 This vision of manifest destiny embodied in American settlers moving westward was painted by John Gast. The Space Review has an August 2 article up by Stephen Pyne, "Space Travel as Exploration," which is a topic I have touched on in a couple of earlier posts here. My view is that space exploration is part of a long theme in human history of exploration, colonization and imperialism. Pyne repeats some things I considered (seems I am in with people who he says take the long historical view): "The Viking landers on Mars are but an iteration of the longships that colonized Greenland. The Eagle, the Command Module orbiter, and the Saturn V rocket that propelled the Apollo 11 mission to the Moon are avatars of Columbus’s Niña, Pinta, and Santa Maria. The “new ocean” of interplanetary space is simply extending the bounds of the old." Terra by Ryan Odagawa. 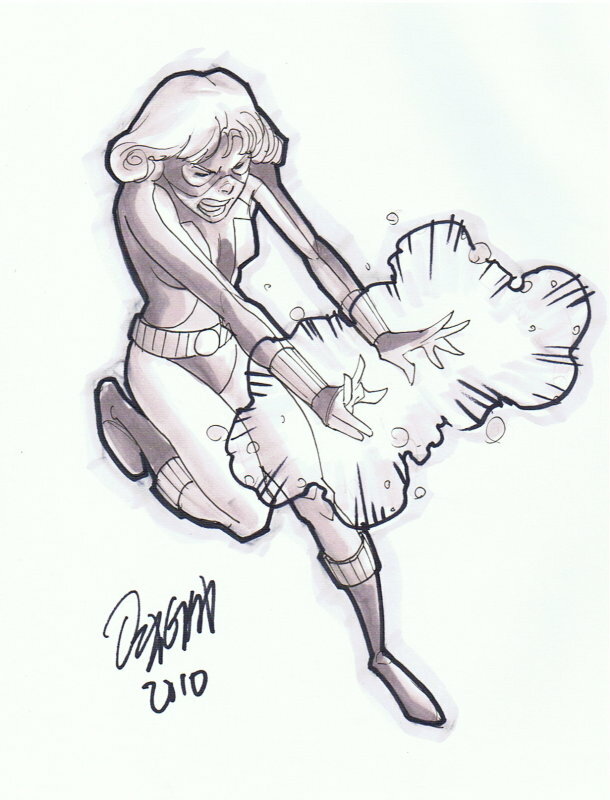 SDCC Convention Sketch (2010). 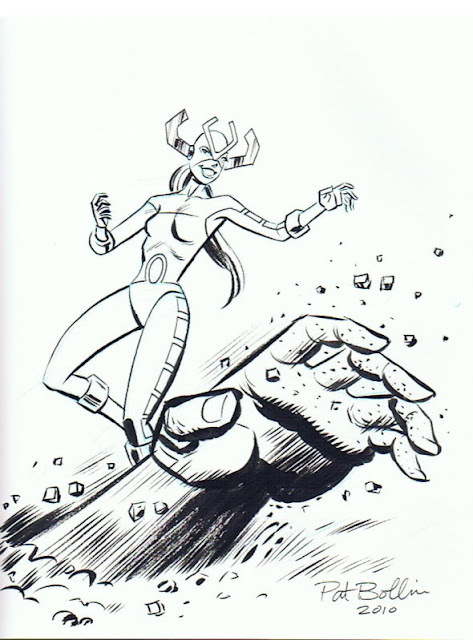 Today's blog post continues the history I'm writing for DC's character Terra. I've backdated it so that all the pieces on that topic are together. The link to the entry, which takes the character up to her doppelgänger's death in 2007, is here. St. Paul, oldest known image, 4th century CE. 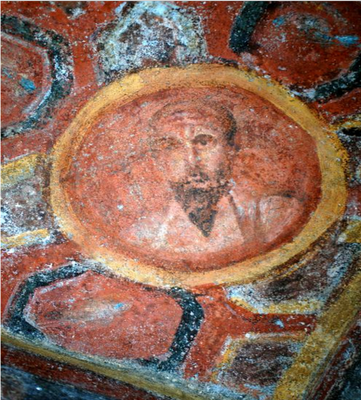 The blog Quigley's Cabinet has picked up on a series of late June reports that the oldest known images of the apostles Andrew, John and Paul have been discovered and restored by archaeologists in a catacomb beneath an office building in Rome. Reports are here, here, here and here. The fresco images appear in an alcove housing a noblewoman's tomb.